Dreamy dresses, elegant jewelry, and classic accessories. 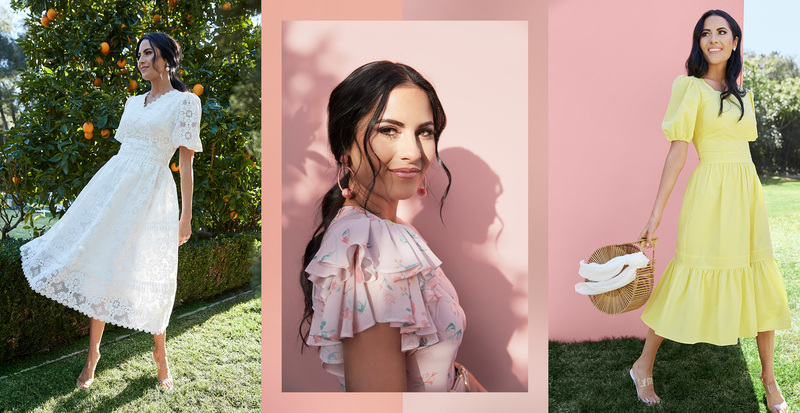 That’s what you can expect from superstar blogger and mega-influencer Rachel Parcell’s eponymous brand, which is now available at Trunk Club. Meant to mirror the signature feminine style Rachel is known for on her blog, Pink Peonies, her pieces are designed to be worn while creating memories. They’re the kind of dresses you’ll reach for whenever you have a special occasion coming up, because the thought and detail in each piece is undeniably beautiful. From the candy-colored pastels and graceful silhouettes, to the lovely florals and delicate finishes, we’re head over heels for it all. See what we mean below, and browse a preview of her collection before it hits stores. Rachel Parcell’s long-awaited collection is now available at Nordstrom and Trunk Club.